“In the end, we shall have had enough of cynicism, scepticism and humbug, and will want to live – more musically.” This quote (Vincent Van Gogh to his brother Theo), came to me from a friend, just before Christmas, 2012, as I was finishing this gift book about how to make a gorgeous-sounding 3-stringed instrument from scrap wood and cardboard. Details and story in the book, so more people can make their own music with their own neighbors. There’s an onscreen (pdf) version below, and a youtube video of Ray and Shirley playing for you. A $10, (full color!) paper version is also available from the bookstore.Â For the free download, click here. And for more inspiration, here below are wonderful examples of do-it-yourself music, from the inside out! And some very cool guys in south africa, also playing “junk-funk” on instruments made from tin cans and old fishing line â€” shows to go ya that it’s not the instrument, it’s the music inside you! And for a stunning example of how to build up an entire society via music education for youth, look up El Sistema on wikipedia. There are movies and articles and accolades from all over the world for the vision of one man who proposes orchestras as a model for peaceful, harmonious social organization. And he’s been making it real for 35 years! 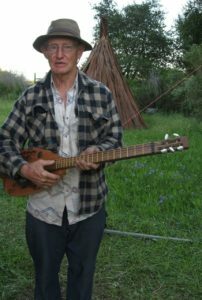 Closer to home, check out the story of Andy Mackie, a retired cattle farmer who stunned the doctors when he gave up his medicine and started teaching kids to play harmonica instead. He beat a dire prognosis, and gave a lot of musical joy to a lot of people. thanks for bringing forth this amazing book…out of your passion and love for music and simple ways of being. Love it. What a gift to the world. Hey, let me know how you like the sound. I bet you’ll be impressed with the tone and clarity of the cardboard instrument. 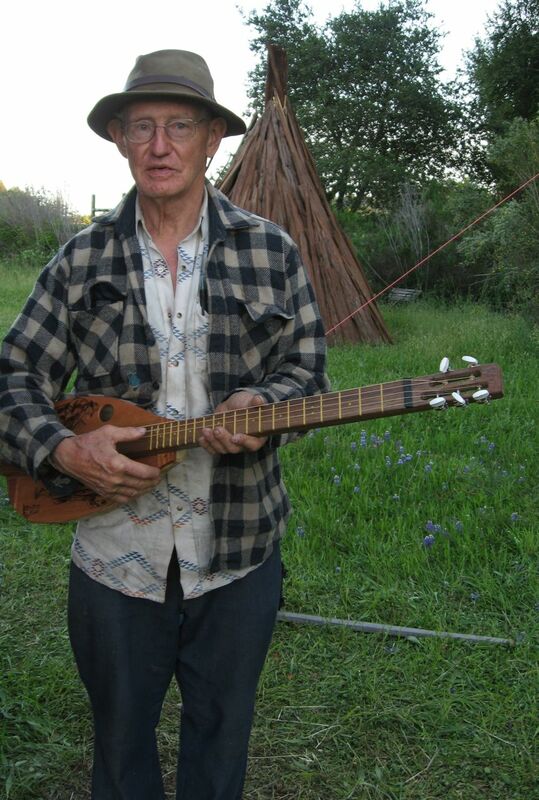 I have a guitar playing friend who says my old Yamaha guitar sounds better than his fancy expensive one, but I swear my cardboard dulcimer sounds sweeter than the guitar.